“It is time to agree upon a national data set for complaints,” said Professor Merrilyn Walton from Sydney Medical School, lead author of the study published today in the Australian Review of Public Affairs (PDF, 197KB). 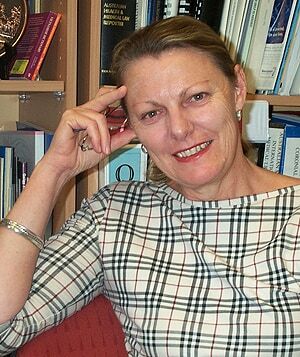 Professor Walton is a former head of the NSW Health Care Complaints Commission. “All states and territories collect data on health complaints but there is no consistency about what is collected and how the terms are defined. Any meaningful comparison and national analysis about health care complaints, a highly valuable source of information, is currently impossible,” said Professor Walton. “This means that it is not possible to benchmark complaints, make definitive state-by-state comparisons or establish best practice in relation to time frames for assessment, conciliation or investigation. “This is in spite of a trend toward national governance and national reporting and the push to strengthen accountability to the public,” Professor Walton said. The research compares complaint statistics from the published annual reports for all state and territory health care complaint commissions (HCCs) over five years. The analysis found that comparisons between commissions were possible only for the most basic data. Shared data were reported by the commissions on only four out of an identified list of 18 items. “Categories for which there is no overall national total include the number of enquiries or complaints, because that data is not collected by all the commissions,” Professor Walton said. “There is no national number for type of organisation complained about, for completed investigations or for outcomes of those investigations that are completed. One reason for a lack of national data is an inconsistency in the definition of terms including a lack of common understanding and use of the term complaint. Another reason is some commissions give only percentages on some measures while others give numbers. “Different statutory requirements for different commissions explains some of this but one would expect each jurisdiction to have similar accountability and transparency requirements in relation to public reporting,” Professor Walton said. Despite the shortage of national data the study was able to identify certain trends in complaint reporting. Treatment issues are uniformly reported as the most common issue for all commissions except Western Australia. While health literature frequently identifies poor communication as a cause for complaints, the study showed treatment as consistently outranking communication across all HCCs and years. “Unsurprisingly, given they are the largest type of health service organisation, public hospitals were the most complained about group,” Professor Walton said. Queensland received the highest percentage of complaints about public hospitals (59 percent) with the remainder of the HCCs receiving between 13 percent to 25 percent of hospital complaints. While trends in complaints about public hospitals were fairly stable in most places, there was a noticeable decrease in Victoria (from 31 percent in 2005-06 to 14 percent in 2009-10) and in the Australian Capital Territory (from 30 percent to 13 percent). “Whether this was due to better services, improved complaint procedures in hospitals, or loss of confidence in the complaint system cannot yet be determined,” Professor Walton said. The contributing authors to the paper are Dr Jennifer Smith-Merry from the University’s Faculty of Health Sciences, Dr Judith Healy from Australian National University and Dr Fiona McDonald from Queensland University of Technology.